GetApp lists the best Call Center software vendor reviews. Including examples of their program solutions, company comparisons, and other types of application options. The world's leading cloud-based contact center software. Convert more leads in less time! Convoso's cloud contact center software provides powerful and easy-to-use solutions to help businesses cost-effectively increase their sales pipelines by up to 150% and deliver top-tier customer experience. Our cutting-edge call center tools are designed to provide your agents and customers with an enjoyable experience and optimal results. Read more about Convoso Our blended, cloud contact center software provides fully-integrated end-to-end applications that include: 'lite' CRM, PBX system, intelligent dialer, hosted IVR, webRTC softphone, LMS, reporting tools, and more! Discover which apps stand out for specific criteria according to our users opinions. Each app is scored using 5 factors, worth 20 points each, for a possible total of 100. GetApp's quarterly ranking showcases the leading 10-15 Call Center apps based in the cloud. Each app is scored using five factors, worth 20 points each, for a total possible score out of 100. These factors include user reviews, integrations, mobile app availability, functionality, and security. Each app's score is independent of commercial interests and existing relationships that GetApp has with app vendors. 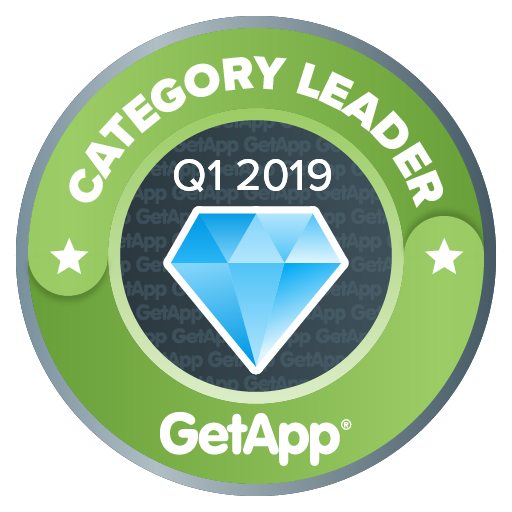 GetApp’s Category Leaders graphic identifies leading cloud-based software products in the Call Center software category. If you’re a business owner or decision maker who is evaluating Call Center technology options for your company, Category Leaders is for you. The ranking highlights key factors that small businesses should consider when assessing which software products may be right for them. These factors include user perception (“user reviews”), compatibility with other systems (“integrations”), mobile offerings (“mobile”), technical capabilities (“functionality”), and product security (“security”). To create each Category Leaders ranking, our research team typically evaluates hundreds of products in any one category. The 10-15 with the highest scores become Category Leaders. What makes a product eligible for Category Leaders? Category Leaders is focused on the North American Call Center software market. To be eligible for inclusion, products must offer a core set of functionality, as determined by our research analysts, who provide coverage of and have familiarity with products in that market. Please see the “Functionality” section below for additional details on the core set of functionality we define for the Call Center market. Since Category Leaders is intended to cover the Call Center market at large, individual analysts use their market experience and knowledge, existing market-based research, and small business software buyer needs analysis to assess an application’s suitability for a given category depending on whether it can reasonably be expected to be relevant to most small business buyers across industries searching for a system with a strong focus on Call Center capabilities. In addition, a product must have at least 20 unique user-submitted product reviews across the three Gartner Digital Markets web properties: softwareadvice.com, capterra.com, and getapp.com, and those reviews must be published within 18 months of the start of the analysis period. The analysis period for the Q1 2019 Category Leaders update is May 9, 2017 to November 9, 2018. An app’s score is calculated using five unique data points, each scored out of 20, resulting in a total score out of 100. The ranking and scoring methodology ensure complete impartiality and independence from any relationships that GetApp has with app vendors. Review scores are calculated using weighted reviews collected from GetApp and its sister sites, Software Advice and Capterra. This score is based on average user ratings (on a scale from 1 to 5) of how satisfied users are with a product overall. The scoring includes ratings left within the previous 18-month period; ratings that are more recent are weighted more heavily. The methodology calculates the percentile ranking for each product relative to all other products in the software category that have qualified for inclusion. That percentile ranking is then translated into a 1 to 20 score. Integration scores factor in a number of variables. Up to 16 points are awarded based on the number of integrations an app has. The first 10 points are awarded based on the number of integrations relative to the category average, while 4 points are awarded based on the number of integrations relative to the leaders in the category. An additional 5 points is awarded for an integration with Zapier, a widely used software integration platform, while an extra point is given for having an open API. The total possible score for integrations is 20 points. Mobile scores are calculated based on the availability of an iOS and Android app. Five points are awarded for the presence of each app, with an additional 10 points awarded for the number and average rating of reviews in both the App Store and Google Play. These review scores are calculated on a scale based on the category average for a maximum of 5 points per platform and an overall maximum score of 20. If there isn’t a native iOS or Android app, the product’s website is assessed using Google’s PageSpeed Insights to measure mobile usability. A score out of 100 is given, then scaled to a score out of 5 for a maximum of 5 points. Functionality scores are assigned based on a combination of two assessments: user ratings and functionality breadth data. Fifty percent of the score is based on average user ratings on a scale from 1 to 5 of how satisfied users are with the product’s functionality. The scoring includes ratings left within the previous 18-month period; ratings that are more recent are weighted more heavily. The methodology calculates the percentile ranking for each product relative to all other products in the software category that have qualified for inclusion. That percentile ranking is then translated into a 1 to 10 score. Core features: automatic call distribution, computer telephony integration (CTI), monitor/whisper/barge functionalities, and call reporting. Common features (at least one of the following): progressive dialing, predictive dialer, call scripting, call recording, interactive voice response (IVR), and agent desktop. Optional features: campaign management, escalation management, knowledge base, and live chat. Products are assessed according to how many of those pre-defined features they offer, and products with more features receive a higher score. We use this data to calculate a product’s percentile ranking, which allows us to determine how products compare relative to one another rather than determine an absolute number. Security scoring is calculated using answers from a vendor-completed survey. The questions in the survey are based on the Cloud Security Alliance self-assessment form as part of the Security, Trust & Assurance Registry, supplemented by the expertise of our security research experts. Each answer in the 16-question survey is assigned a point value. The scoring then calculates the percentile ranking for each product relative to all other products in the software category that have qualified for Category Leaders consideration. That percentile ranking is then translated into a 1 to 20 score. In the event of a tie, each data point is weighted for importance, with security taking precedent, followed by reviews, integrations, mobile apps, and functionality, respectively. GetApp Category Leaders constitute the subjective opinions of individual end-user reviews, ratings, and data applied against a documented methodology; they neither represent the views of, nor constitute an endorsement by, GetApp or its affiliates.